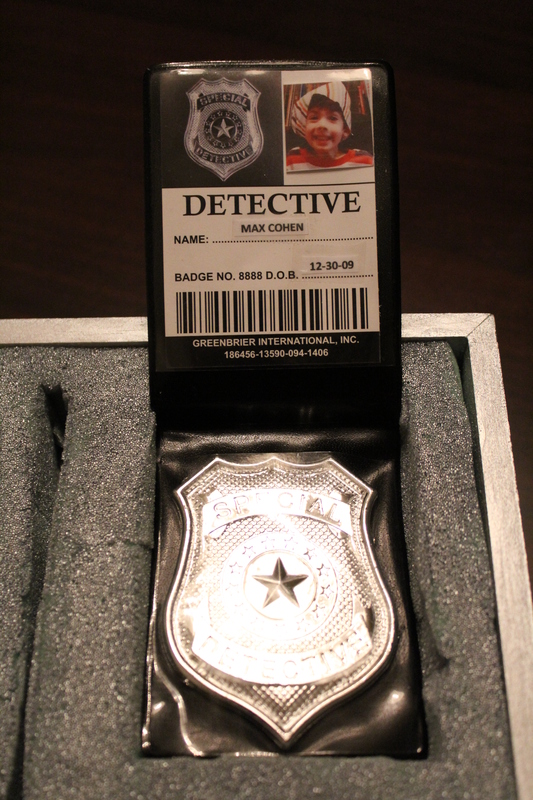 Max got a special surprise when the doorbell rang tonight. 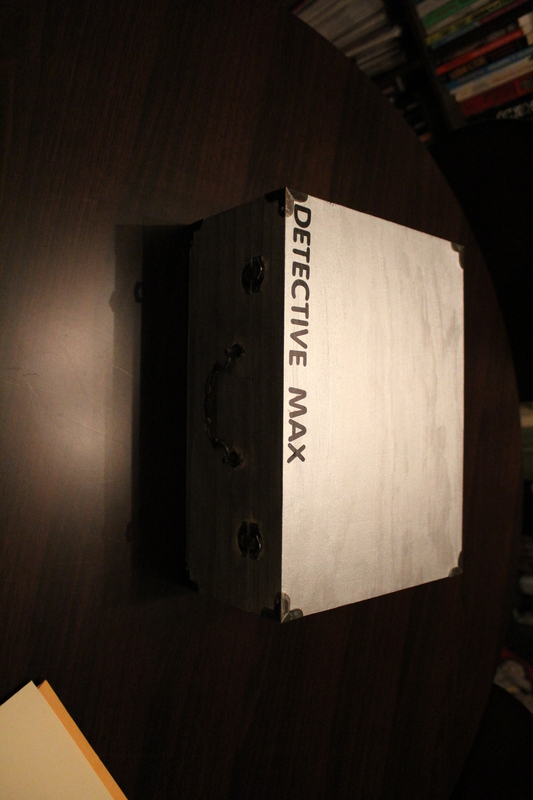 There was a Special Detective Agency Box outside of our door, just for Agent Max. 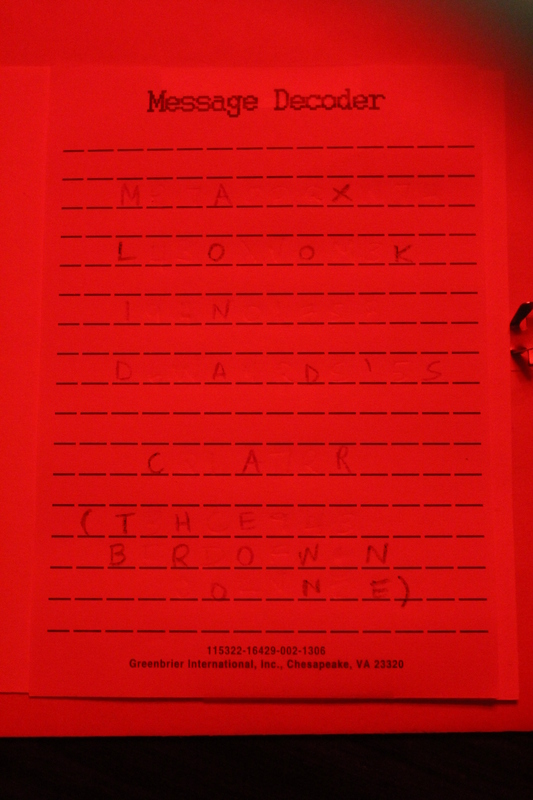 There were 5 clues that sent Max on a scavenger hunt inside and outside to find some missing cookies. 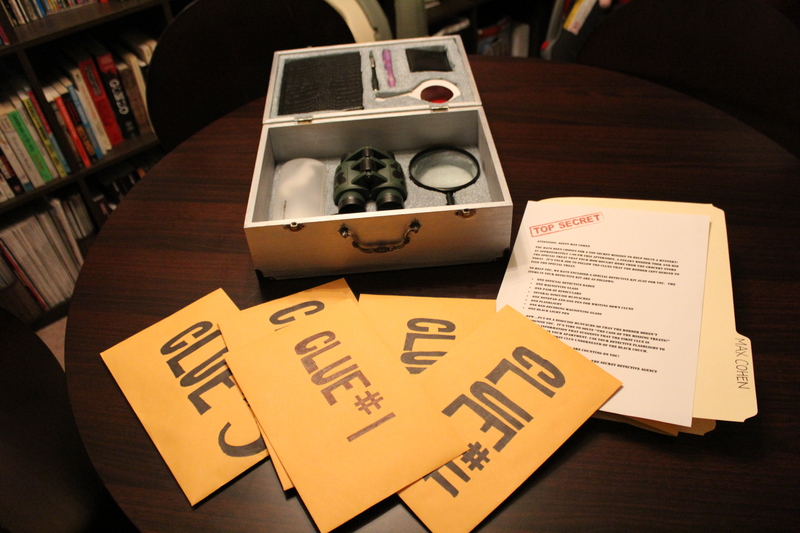 Detective Box with clues and letter from Secret Detective Agency. 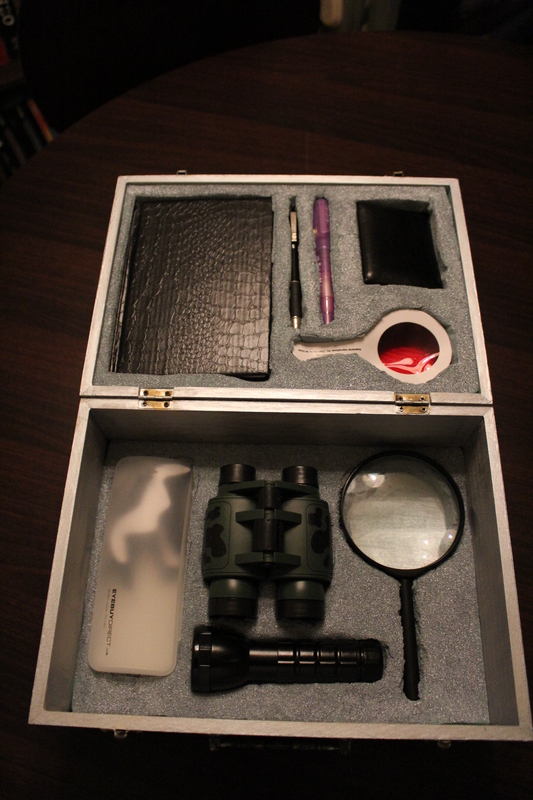 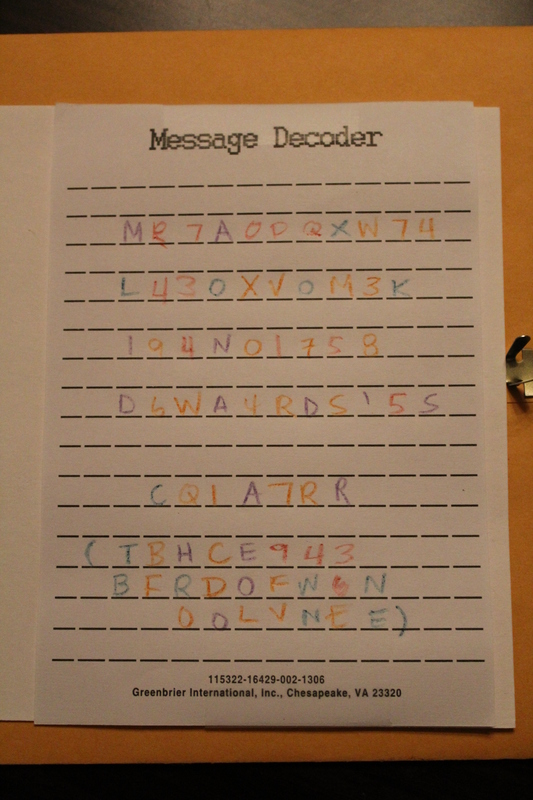 Clue #3 with special decoder glass. 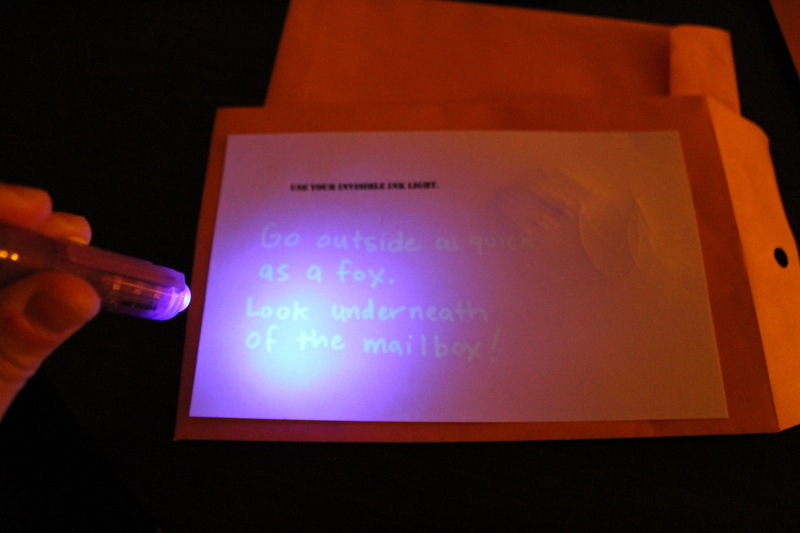 Posted in Crafts, DIY, MaxBookmark the permalink.